Study Island is a web-based program designed as a supplemental educational tool geared specifically to each individual state’s standardized assessments. Study Island was built to meet and reinforce each state’s unique standards. For example, students using Study Island in Texas would have questions geared to prepare them for the State of Texas Assessments of Academic Readiness (STAAR). Study Island is designed to help its users prepare for and improve their state testing scores. Study Island is offered in all 50 states as well as Alberta, British Columbia, and Ontario in Canada. Over 24,000 schools use Study Island across the country boasting more than 11 million individual users. They have more than 30 content writers who research each state’s standards and create content to meet those standards. The content contained in Study Island is very specific. It provides assessment and skill practice in all major subject areas in both tested and untested grade levels. Study Island is supplemental. Study Island is not meant to be used as a primary curriculum. It is only a supplemental tool. However, there are mini lessons for review before or during each individual standard’s specific set of questions. This allows students to have a quick refresher on material that should have been covered in depth during class instructional time. Study Island provides instant feedback. When a student clicks on the correct answer, they get a yellow star. If they click on the incorrect answer, it says that the answer they have chosen is wrong. Students are able to choose again until they get the correct answer (their score only reflects whether they got it correct on the first attempt). If the student does not answer it correct the first time, then an explanation box will pop up giving a detailed explanation of that specific question. Study Island is adaptable. There are many features of Study Island that give options to the teachers and students using the program. Teachers can choose the specific content that they want their students to work on. For example, if a 5th-grade science teacher finishes a unit on the properties of matter, then they may want their students to complete the corresponding unit to properties of matter on Study Island. Teachers may also choose the number of questions they want their students to answer. Study Island also has three modes for which content can be answered including test mode (designed to appear like your state test will look like), printable mode (which allows teachers to use Study Island as handouts), and game mode (which allows students to have fun with learning). Study Island is goal oriented. Students work to achieve each mini-goal within their specific curriculum. A student may be working on a lesson over “Context Clues.” The teacher can set the benchmark score at 75 percent for mastery. The student then answers the designated number of questions. If the student scores at or above the mastery target score, then they will receive a blue ribbon within that individual standard. Students learn quickly that they want to earn as many blue ribbons as possible. Study Island provides remediation. One of the best features of Study Island is that it truly does not leave any student behind. If a 6th-grade student is working on a math lesson over exponents and that student performs unsatisfactorily within that topic, then the student will be cycled down a to a lower level of skill within that specific topic. Students will then work on that lower level as a building block until they can master that skill and eventually move back up to grade level. A student can be cycled down 2-3 skill levels below their grade level until they build enough of that skill to advance back up to their actual grade level gradually. This skill-building component allows students with gaps in certain areas to fill those gaps before moving on to the more advanced material. Study Island is accessible. Study Island can be used anywhere there is a computer or tablet with Internet access. Students can log in at school, at home, and the local library, etc. This feature allows students who want extra practice to have it at their fingertips at any time. In addition, teachers can utilize Study Island to reinforce concepts in a whole group or small group setting with the "group sessions" feature. This unique feature allows teachers to interact with a group of students working on multiple mobile devices. The teacher can administer specific questions, review lessons or standards, and monitor student progress in real time. Study Island is special needs friendly. There are several tools that teachers can take advantage up to meet the individual needs of special needs students. In the multiple choice format, you can change the number of answer choice from four to three. You can also lower the score it takes for an individual student to earn a blue ribbon. Finally, there is a text to speech option where students with special needs can highlight text and the question, and answer choices will be read to them. Study Island is fun. Students love to work on Study Island especially in game mode. The best feature about the game mode is that the student must get the question correct to unlock the ability to play the game. This forces students to take the questions seriously. There are thirty game choices in this type of play including kickball, bowling, fishing, and much more. Students can also compete for high scores in these games not only against students within their own school but also against students across the country. Study Island is guess proof. Many students like to go through questions as quickly as possible without really taking their time. Study Island has a feature that does not allow students to do this. If they are getting too many incorrect answers at a rapid pace, a warning box will pop up to that student, and their computer will be “frozen” for about 10 seconds. This forces the students to slow down and take their time. Study Island provides great reporting and data analysis. The reporting feature is extremely customizable and user-friendly. Teachers have many reporting options ranging from individual to the whole group to comparison to specific date ranges. If there is a report that you want, it is probably on Study Island’s system. In addition, the Edmentum Sensei Dashboard, provides teachers with tools for comprehensive data analysis, the ability to monitor learning goals and a new refined way to have real meaningful interactions with students on a regular basis. Study Island is admin and teacher friendly. 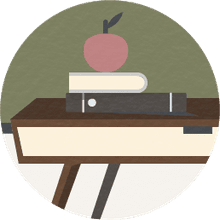 System administrators and teachers can add new students, set up classes, and change settings very quickly and conveniently. Every feature is easy to change typically with the click of a mouse. The entire program is customizable. Teachers can even create their own tests by adding their own questions to the Study Island system. Teachers also have access to the extremely valuable "teacher toolkit" filled with thousands of learning resources including videos, lessons plans, practice activities, etc. Study Island is evolving. Study Island constantly changes with the addition of new features. They are also constantly looking for ways to make the program more user-friendly for all of its users. In addition, if your state standards change, then Study Island is quick to write new content to match those new standards. The cost to use Study Island varies according to many factors including the number of students using the program and the number of programs for a specific grade level. Since Study Island is state specific, there is no standard cost across the board. However, if you click here, and then select your state, it will give you more specific information including the cost for your state. Study Island has been proven through research to be an effective tool for test score improvements. A study was conducted in 2008 that supports the overall effectiveness of Study Island in impacting student achievement in a positive manner. The study showed that over the course of the year, students who used Study Island improved and grew while using program particularly in the area of math. The research also showed that schools that were using Study Island had higher test scores than schools that did not use Study Island. Study Island is a terrific educational resource. It is not intended as a replacement of teaching, but as a supplement that reinforces a lesson or critical concepts. Study Island gets four stars because the system is not perfect. Students can get bored with Study Island, especially older students, even in game mode. Students tend to get tired of answering the questions, and the repetitive nature can turn students off. Teachers must be creative when using the platform and understand that it is a supplemental tool that should not be used as the sole driving force for instruction.